Art of the Title is an online publication run by Editor-in-Chief Lola Landekic and is based in Toronto, Canada. Launched in 2007, the site attracts an enthusiastic group of devoted readers from all around the world, currently reaching 400,000 readers per month and with 100,000 followers across its social media channels. 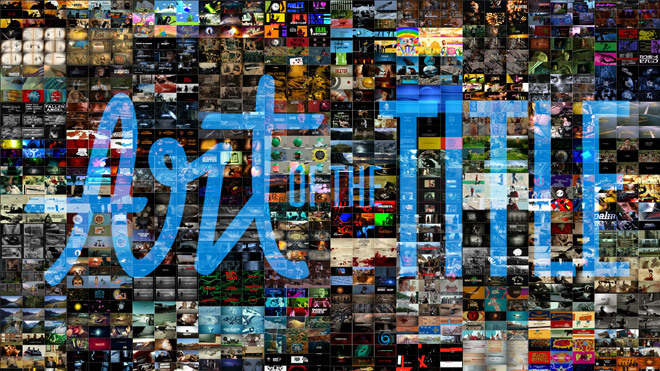 Art of the Title is the definitive resource for title sequence design, spanning the film, television, conference, and video game industries. Featuring work from around the world, our aim is to honour the creators and innovators who contribute to the field and to give credit where it's due. We showcase innovative and interesting work, foster discussion, and welcome new voices. Information on how to submit work is on the Submissions page. This note, stuck on the cans of film reels for Otto Preminger’s contentious new movie, The Man with the Golden Arm, sparked the industry’s capricious love affair with film titles. The year was 1955 and Preminger knew that his collaboration with graphic designer Saul Bass had produced something interesting. And he wanted his audience, who were normally spared the dull roll of credits, to see it. That simple cut-out of a heroin addict’s arm caused a sensation. From the tense closeups of Kim Novak’s face in 1958’s Vertigo to the singing ruby lips of The Rocky Horror Picture Show in 1975; from the graceful, three-and-a-half minute crane shot in 1958’s Touch of Evil to the playful, referential intro to The Player in 1992; and from the shadow and substance of The Twilight Zone in 1959 to the intricate cartography of the 2011 TV adaptation of Game of Thrones, title sequences have prepared, captivated, thrilled, and inspired us. 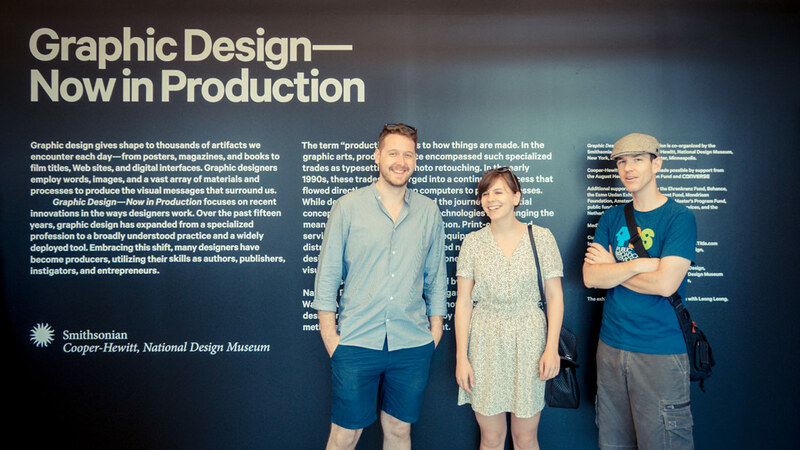 Art of the Title Contributing Editor Will Perkins, Editor-in-Chief Lola Landekic, and Founder Ian Albinson, at the Graphic Design — Now in Production exhibition in New York. Art of the Title is operated by Editor-in-Chief Lola Landekic from her studio in Toronto, Canada. She is also a graphic designer full-time, currently on staff at The National Post. Previously, she has been a designer for newspapers The Toronto Star and The Globe and Mail, publishers HarperCollins and Random House, and in film. Her writing has been published in The Globe and Mail and AIGA’s Eye on Design. She has taught communication design and typography in motion at Sheridan College and has been a judge for the SXSW Title Design Competition, The Motion Awards, and The Juno Awards. Lola has also done speaking engagements for a wide array of organizations including the Smithsonian American Art Museum, SXSW, London College of Communication, California Institute of the Arts, and AIGA Design Conference. She is available for talks, lectures, and panel moderation. In her spare time, she contributes articles to Wikipedia. Art of the Title is primarily sustained through its readers, using crowdfunding tool Patreon. Readers and fans who become patrons through Patreon get early access to site content, a direct line to staff, and ensure the sustainability of the site. To ensure that Art of the Title can continue to preserve and celebrate the history of title design, become a patron today. In addition to our Patreon campaign, the site also uses a sponsorship model in which organizations can connect with Art of the Title to create a visible partnership, to build brand awareness, and to diversify their audience. Please see the sponsorship page for more details. In recent years, staff have given talks at a number of international events. If you are interested in having Art of the Title speak at your event, please see the talks & events page. Art of the Title was founded in 2007 by Ian Albinson and Alexander Ulloa. It is sporadically supported by Contributing Editor Will Perkins and a number of contributing writers.